2011 EU issue on vinyl LP=Philadelphia singer/songwriter Kurt Vile returns with his second proper album (2008’s Childish Prodigy was a compendium of sorts). 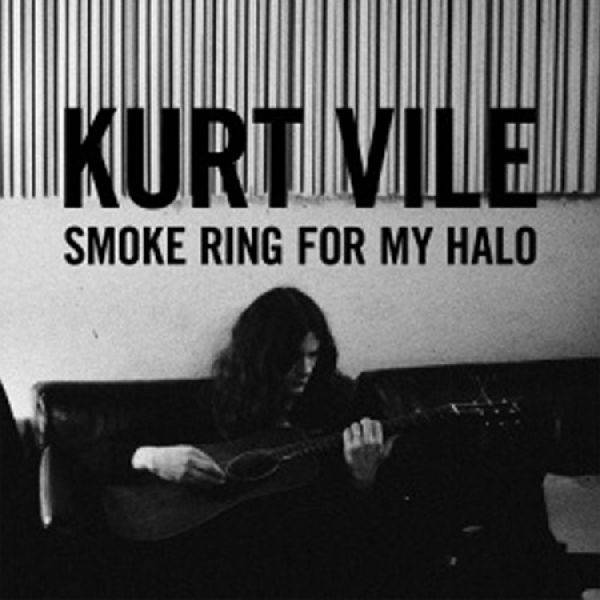 Smoke Ring For My Halo is a gorgeously layered record. Ranging from the tender breezy folk in “Jesus Fever” to the tuff urban guitar riff of “Puppet To The Man,” Vile’s distinctive Philly-accented vocal ties together a sweeping and evocative project, a true American psychedelic folk album. This is no pastoral listening experience however, when Vile sings, “society is my friend: he makes me lie down in a cool bloodbath," he sounds both exhausted and distanced from the ringing harmonics of his guitar and Mike Zanghi’s pounding drums. Even the gentler songs, such as “On Tour” and “Baby’s Arms” have a distinctly dark lyrical tone. The closest that Vile gets to some kind of acceptance is in the central track, the rueful “In My Time," where he sings, "I know when we get older, I’m dying, but I got everything I need here now, and that’s fine, now...that’s fine." 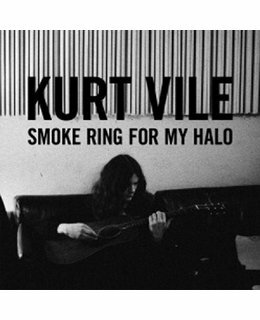 Recorded at the Magic Shop by John Agnello, Smoke Ring For My Halo is a massive step forward for one of the country’s most beloved rock songwriters.